Friends! It’s finally here! I feel like I have been a broken record saying “when I share my promo video…” and the day has finally come! When I met with Katelyn for my coaching session last February, one of the things we talked about was adding a promo video to my site. I loved the idea of my clients getting to know me better before inquiring with me and actually meeting me in person, so we thought a promo video was the best way to do so! I contacted Tyler and Ashley of The Herrintons last June, and I was totally unsure about what the video would look like. 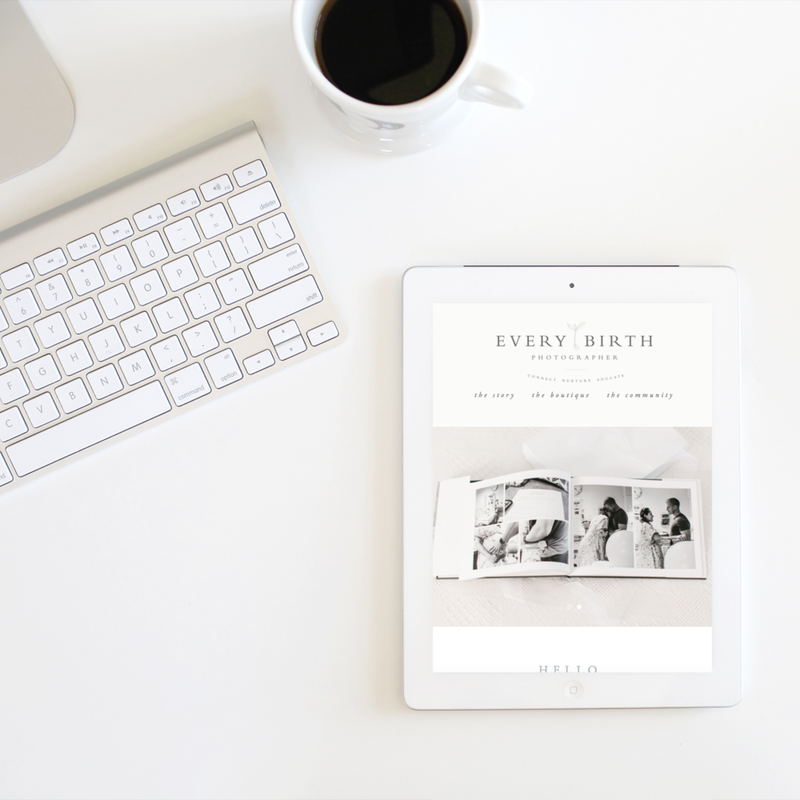 Because the focus of my business is on birth photography, I wanted the video to give my clients a better idea of what the experience of working with me as their birth photographer would be like, without just having them read through my FAQ, about me, and seeing images in my galleries. When I sat down with Ty and Ash and we talked through the vision I had for my business, and what I wanted to communicate with my video, they came up with what the video’s storyline would be like, and how we could incorporate a few glimpses into the “behind the scenes” of my business. Thankfully, I was able to get a few of my clients on board who were okay with being filmed and after many tweaks (thanks for your patience Ty!) I can finally share it with you today! If you are in the market for a promo video for your business, I strongly suggest working with Ty and Ash. Even though being in front of the camera, talking to it and NOT trying to laugh awkwardly is extremely tough, they made me feel at east with the entire process. Their attention to detail and storytelling abilities are truly what makes this video what it is! Thanks Ty and Ash!